So what happens if an officer finds you sitting in your vehicle? Under limited circumstances, the officer can ask you to exit the vehicle and begin a DUI investigation even if the officer never saw you driving. Despite the fact that these cases are common, prosecutors usually have a more difficult time proving these cases at trial. Motions to suppress and exclude evidence because of an illegal detention or arrest are more common. 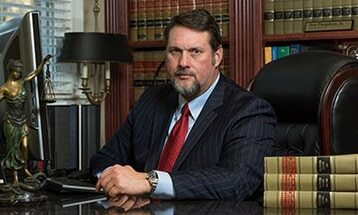 The attorneys at Pumphrey Law have years of experience defending clients in DUI cases throughout North Florida. Our attorneys can help you protect your rights while fighting for the best possible resolution in the case. Call (850) 681-7777 to schedule a free case evaluation. Pumphrey Law represents individuals charged with drunk driving throughout Tallahassee in Leon County and the surrounding areas such as Bristol in Liberty County, Crawfordville in Wakulla County, Monticello in Jefferson County and Quincy in Gadsden County. Pumphrey Law represents individuals charged with drunk driving throughout Tallahassee in Leon County and the surrounding areas such as Bristol in Liberty County, Crawfordville in Wakulla County, Monticello in Jefferson County and Quincy in Gadsden County. Actual physical control is a term used in Florida law meaning the person must be physically in or on the vehicle and have the capability to operate the vehicle, regardless of whether he or she is actually operating the vehicle at the time. If a person is found to be in actual physical control of a vehicle while under the influence of drugs or alcohol, that person could face DUI charges. For example, if an intoxicated person is sitting in the driver’s seat of a vehicle with the keys to the vehicle either in the ignition or within the easy reach of the driver, the prosecutor might be able to establish that the driver was in actual physical control of the vehicle. This term often applies in DUI cases when a driver pulls over to “sleep off” the intoxication. If the person remains in the driver seat, he or she again could be considered in actual physical control of the vehicle, whether or not the vehicle was turned on. whether the seat was reclined or upright. If you have been charged with a DUI for being in actual physical control of the vehicle, contact the skilled and experienced DUI defense attorneys at Pumphrey Law. DUI convictions can have a lifetime of consequences even after the criminal case is resolved in court. Whether you are charged with a first offense or have a prior, we can help. We help clients charged with DUI after a breath, blood or urine test. We also fight cases involving a refusal to consent to testing. Call (850) 681-7777 to schedule a free legal case evaluation.